Compassion started working in Thailand in 1970. Today, there are over 47,000 children registered in our programs through 188 church partners. Thailand was an absolute monarchy until 1932, when it became a constitutional monarchy. It’s the only country in southeast Asia that has never been colonised, but that doesn’t mean it has been free from political struggle. Indeed, Thailand has a long history of military coups; Prime Minister Prayut Chan-o-cha himself seized power in a military coup that ousted Yingluck Shinawatra in 2014. The first election since 2011 is due in March 2019 and the mood is volatile; the Prime Minister is seen as likely to retain power, but an anti-junta mood is taking hold. Despite political uncertainty, Thailand has experienced rapid social and economic development in recent years, changing from an agricultural-based to an industrial-based economy. However, inequalities in socio-economic welfare still remain, caused by disparities in the distribution of wealth, environmental degradation and the effects of urbanisation. The people groups living in the nation’s northern- and western-most regions are particularly affected, due to a combination of a lack of infrastructure and services and their status as ethnic minorities. 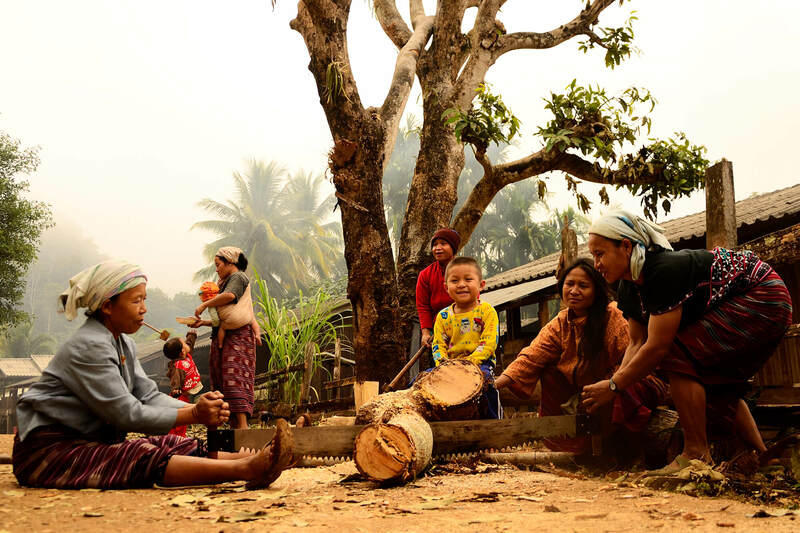 Up to half of these ethnic minority hill tribe members don’t have citizenship papers, meaning they cannot own land or travel freely between districts and have no access to social welfare services. This makes them vulnerable to a clutch of issues: poor health care and education, unemployment and economic poverty, even trafficking and threats of displacement. Yet, lacking citizenship, they lack representation and face a long road to economic and social equality. The coming election looms as an important moment of reflection for Thailand but the local church will continue to be critically important in caring for the people of these forgotten communities, especially the children. Dear Sponsor, Greetings from Thailand! My name is Sanya Ladaphongpattana. I have been the Country Director of Compassion Thailand for 14 years. I was born and grew up in a Christian family as a missionaries’ kid. My parents came from China and served the Lord here since 1962 to bring the Gospel to remote villages where there were no Christians. Greetings from Thailand! My name is Sanya Ladaphongpattana. I have been the Country Director of Compassion Thailand for 14 years. I was born and grew up in a Christian family as a missionaries’ kid. My parents came from China and served the Lord here since 1962 to bring the Gospel to remote villages where there were no Christians. I really praise the Lord for the opportunity to be a disciple, and I served with my parents for so many years until 1986 when my dad went to be with the Lord. 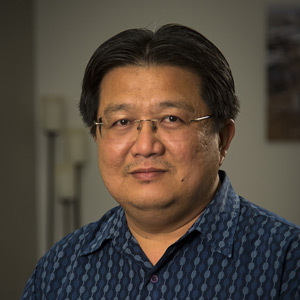 I realise that, throughout those years, God has built and prepared me to carry on the assignments to make disciples from Thai people and serve local churches to fulfill His purpose. Right now, I have a family with two boys: Joshua and John. My wife, Wiboonrat, is serving at IJM (International Justice Mission) as the Aftercare Manager for Thailand. Compassion has worked in Thailand for more than 45 years and has partnered with almost 200 local churches, mostly in the northern regions. There are more than 40,000 registered children right now that our partners are reaching out to. There are many challenges that children are facing in their lives, especially those who do not come from Christian families; challenges like peer pressure, societal norms, cultures and traditions, worldview system, expectations from parents and relatives, etc. Apart from the spiritual poverty, they are also faced with unequal opportunity in terms of education, employment and health accessibility. Many do not have legal identities and are called “stateless children”. With all of these challenges, I really praise the Lord for our local church partners, who are salt and light to the world. They reach out and bless all registered children in the name of our Lord Jesus Christ. May God help them to develop their God-given gifts and provide them with opportunities so that they can also bless others and, eventually, the nations! I would like to thank you for your heart, commitment and sponsorship to your sponsored child in Thailand. It is not just a financial support for schooling or improving the living conditions of this child but it is a process of holistic development that will help this child to become a fulfilled adult. Through your sponsorship, the child has a safe place to go, feel nurtured at the project centres, learn about the love of Jesus and vocational skills, develop character through mentoring relationship, and so much more. It is our vision to see each one of them become a leading force, a champion in holistic transformation of this nation: Thy Kingdom come, Thy will be done on Earth as it is in heaven! Recently one of our church partners in Chiang Mai province, through children in the project, has been very successful in driving an anti-corruption movement in their local community that escalated to district and provincial level. The movement started from a youth group in the church, then expanded to peers, classmates, schools and the community. They have been recognised and awarded by the National Anti-Corruption office as a Christian community who build up a new generation, with character, that will drive and reform the nation. We really praise the Lord for this, that His name will be glorified and lifted up. With all of these, I truly believe that this transformation couldn’t happen without the leading of the Holy Spirit, dedication of the local churches, and sponsors who play very significant roles. If we start to change one child at a time through your prayers, letters, encouragements, visits and generous giving then we’ll see a transformation taking place. Once again, I would like to thank you for your sponsorship to your sponsored child, which means a lot in their holistic development. I pray that God will continue to bless, guide and allow you to bless others who are in need, in order to expand His Kingdom. Renowned around the world for its cuisine, and famed as the Land of a Thousand Smiles, there’s no better place to travel with Compassion. Autumporn prefers to go by her nickname, “Gai”, as is the custom in Thailand. Gai literally means “chicken”; it doesn’t describe her in the least. She’s a pioneer. Born in Por Nor Tha, a small mountain village accessible only by a footpath carved out of the mountain by Japanese soldiers in the Second World War, Gai’s future was all but settled. What’s a village girl to do but marry and provide for her husband and family until she is old? Autumporn prefers to go by her nickname, “Gai”, as is the custom in Thailand. Gai literally means “chicken”; it doesn’t describe her in the least. She’s a pioneer. Born in Por Nor Tha, a small mountain village accessible only by a footpath carved out of the mountain by Japanese soldiers in the Second World War, Gai’s future was all but settled. What’s a village girl to do but marry and provide for her husband and family until she is old? But one day, strangers came to the village. Speaking with the parents, they told of a school in a town not far away, where girls could learn to read, write and have jobs in the future. 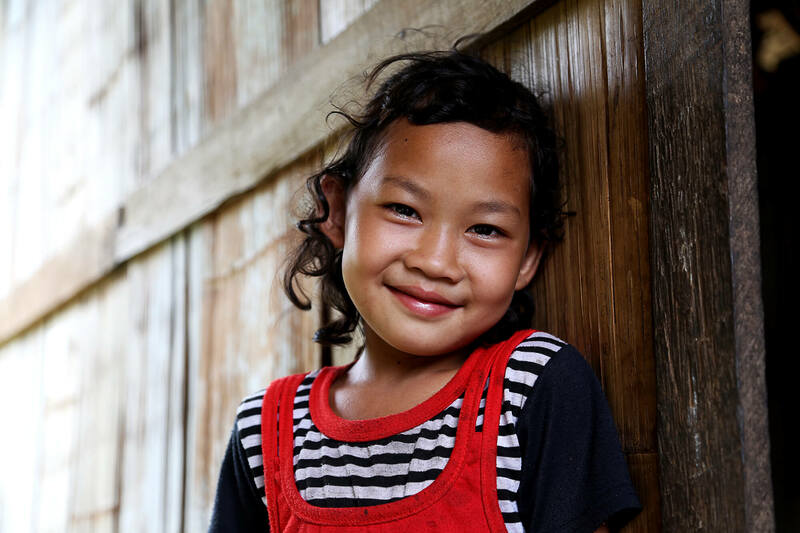 That is how, at six years of age, Gai was sponsored through Compassion and started attending a school near Mae Sot, a town on Thailand’s border with Myanmar. Her school was about a day’s trip away from her parent’s village, so during the school year she lived at a special home in Mae Sot for village children like her who had no schools in their own villages. It turned out that Gai excelled at school. She finished primary school, then high school and went on to receive a bachelor’s degree in accounting. During her time in college, Compassion staff had been talking with the pastor in her village. Instead of sending children far away, Compassion and the local church started a partnership right there where Gai had grown up. But there was a staffing problem: the previous accountant was retiring. When she was asked to return, Gai had been married for a while and was the mother of one young boy. Her husband worked as a clerk at a large hospital and she had a comfortable job as an accountant. “But the job of accountant at the project is one of the most important,” she says. And so, she gave up a well-paid job and agreed to return to her home town. Please pray for the national election in March 2019. Pray that it happens on time and that God provides honest candidates who will lead the country well; pray for a peaceful, transparent and fair process. Pray for Pennapha Thanadjeraja, a Compassion assisted girl, as she hopes to continue her education beyond secondary school by studying medicine/nursing at the local college. Pray for her test and interview. Pray for Pennapha as she prepares for her high school final exam. Please pray for PayaPrai Church (TH0367) near the Myanmar border, as they plan to expand their ministry into nearby communities that are saturated with poverty. These communities desperately need more opportunity for their children; pray that God will lead the church as they seek His guidance on how best to help the children around them. Please pray for the Compassion Thailand staff who are struggling with illness at the moment. The pollution in the cities has been particularly bad and has caused respiratory problems and other illnesses. Please pray for good health and protection as they continue their work with the children. Pray for one registered boy who was involved in an accident in January and suffered burns to 80 per cent of his body. He is receiving medical treatment; please lift him up in prayer and pray for continued healing. Pray for peace and strength for his family and friends as well. Please pray for the Centre Director of Tha Ta Fang Child Development Centre (TH0998). In December, his entire house and property burnt down. Now, the family is living in a shelter and trying to raise funds to build a new home. Aya “Abba” Adeu was worried. Her son Sombut was desperately ill and needed to go to the hospital immediately. There was no time to spare but she still hesitated. What was the point in going to the hospital when the doctors would probably not treat Sombut, anyway? If only he had an identity card, Abba thought, not for the first time. For many Australians, a trip to the doctor is hardly an inconvenience. In a remote Thai village, the children’s only chance to seek medical treatment is when a doctor visits twice a year. You can help make this happen.